From the Ayurvedic teachings, it can be found that our life or our meaning in existence is not that rigid, but rather instead, there is a harmonious flow in it. 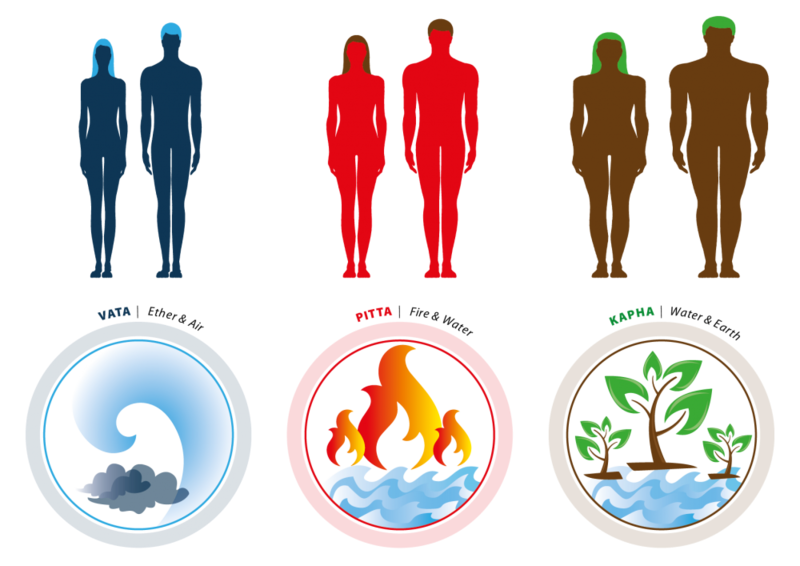 If we consider the five elements of nature – earth, water, air, ether, and fire – that comprise the entire universe is not rigid as well. Each element flows into another and each element, in some ways, contains the other four. The most subtle element inside us is the space with which the mind is made up, and the gross element is the earth that composes or bones, marrow, the skin and the structure. Then it can be further divided into Vata, Pitta, and Kapha, the three Doshas. That is our physiology and the reflection on the mind. Illness shifts from the thought form, that of the mind, then shifts to sound form, then light form. And only after that, it moves manifests towards the body. The simplest symptoms are in the form of the fluid, and it can be eradicated. On the other hand, the grossest form is when it manifests in the body, where it needs medication. With Ayurveda, the illness can be eradicated right at the root. What does the holistic approach of Ayurveda mean? It mostly comprises of exercising, breathing and meditating. Breathing and life are almost synonymous. “Our life is in the breath. And our breath is in the life.” There are close relationships between breath and three doshas in the body as mentioned before: Vata, Pitta, and Kapha. Each of the doshas affects certain parts of the body more than the other parts. For instance, Vata Dosha plays a dominant role in the lower part of the body, namely stomach, intestine, and others. Because of Vata imbalance, one can suffer from diseases like gastric and stomach aches. Kapha dosha plays a dominant role in the middle part of the body. If there is any imbalance in the Kapha dosha, then it can lead to coughs and other heart-lungs related diseases. Pitta dosha plays a dominant role in the upper part of the body, like the head. Short tempers are caused by an imbalance in Pitta dosha. The first thing you need to do is to calm your mind, it is the subtlest aspect of creation – the ether. If there are too many thoughts playing inside your mind then the resistance power inside you will drain down, and that is where the body prepares itself for other illness. However, if the mind is clear, without unwanted and stressful thoughts playing in the loop, meditative, then the resistance power of your body increases, and most of the illness is stopped right there. Thus, you need to learn the skills of breathing techniques and meditation techniques that can help you calm the mind. Then the second element you need to think about is the air. Aromatherapy and breathing techniques are essential to fill in the element. The other element is the light, which you can control with color therapy used for healing. Even before you feel any illness in your body, your aura can tell you about it. With prana, you can energize your body and clear the negative aura inside you to prevent illness. Then comes the element of water. You can balance the system with fasting or finding ways to purify the system. When all of these are taken care of and if the illness still prevails, then medicines, medicinal herbs, and surgery are the final recourse. But before that, you need to balance the other elements.